On-One urban bike frames occupy a legendary and much-loved place in the hearts of many. Their simple, down-to-earth designs; snappy ride handling; low-maintenance durability and unbeatable value has helped earn these frames cult status over the years. 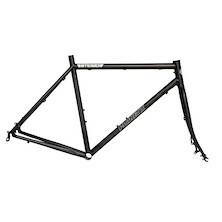 Perfect to build into any urban, commuter, touring or do-it-all workhorse bike, names like Pompino (single speed), Pompetamine (hub gear ready) and Kaffenback (geared) are synonymous with some of the best value steel urban bike frames ever produced, and we are truly proud of that heritage. 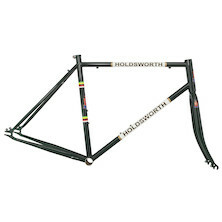 A thoroughly retro-modern take on the classic, steel frame from Holdsworth. Weekend rider, urban commuter, pub or shop bike, the Holdsworth La Quelda will carry you in style.